On November 20th, 2013, USA Today published a column by Dr. Kevin Pho titled “Avoid Herbal Supplements: Column”. Within this piece, Dr. Pho shared his discontentment of the use of nutritional supplements by his patients, including quality and safety concerns while quoting the BMC DNA barcode analysis which has been criticized previously by the American Botanical Council (ABC) for containing flawed data. "With all due respect to Dr. Pho, it appears that he is not adequately familiar with issues related to the quality, regulation, and clinical research on many popular herbal dietary supplements sold in the US market. First, one of the story highlights incorrectly states: “And they are not regulated, as many believe, by the FDA.” The facts are clear that this statement is totally false. There are numerous laws and regulations that allow both the Food and Drug Administration and the Federal Trade Commission to regulate the importation, manufacture, storage, labeling, sale, and advertising of herbal dietary supplements. In fact, in recent years since the advent of the Obama administration, regulatory activity with respect to herbal materials and products has increased significantly, including detentions of raw materials at ports of entry, inspections of manufacturing facilities, the writing of warning letters to manufacturers whose products and/or marketing claims do not comply with federal laws and regulations, recalls of products, and even civil and criminal punishment of blatantly offending executives. In 2012 we published an extensive, expertly peer-reviewed article on the subject of the regulation of herbal dietary supplements, accessible at abc.herbalgram.org. Further, lack of adequate knowledge in this area is evident by his reference to “herbal drug producers” who ostensibly “violated manufacturing guidelines” designed to prevent adulteration of their pills. First, herbal dietary supplements are regulated as foods under federal law, not drugs. Second, the use of the term “violate” is potentially misleading and prejudicial. In FDA’s inspections of manufacturing facilities, many relatively minor procedural issues can constitute a “violation.” And, yes, even though the 70 percent figure stated by the FDA is alarming, it is in fact evidence that dietary supplement (not always herbal) manufactures are being regulated, in contrast to the erroneous statement at the head of the article. A second area where Dr. Pho is, unfortunately, apparently unqualified to provide authoritative opinion is the subject of analytical testing of herbal products. He uncritically cites an error-riddled and flawed analytical study that used DNA barcoding techniques to attempt to qualify the identity of herbal dietary supplements sold in Canada and the US. Space does not permit a full explanation as to why this study should not be and cannot be cited without significant critical qualification. USA TODAY readers can access a news release by the nonprofit American Botanical Council and ABC’s peer-reviewed critique of this study, which numerous experts in the field of herbal quality control believe should be retracted, corrected and revised, peer-reviewed by appropriate experts in DNA analytical technology and herbal quality control, and only then possibly republished. A third area of apparent lack of understanding of the herbal situation is the author’s remarkably erroneous and misleading statement that in 2012, FDA blamed the herbal industry for causing more than 50,000 adverse events annually. In fact, FDA’s Division of Dietary Supplement Programs Director, Daniel Fabricant, PhD, has stated that in 2012 there were a total of 3,249 serious adverse effects reported to FDA for all dietary supplements (not just herbals). This is a significantly lower figure (only about 6.5 percent of what Dr. Pho has erroneously reported). And, we respectfully remind Dr. Pho, and USA TODAY readers, that adverse event reports, whether associated with herbs, other dietary supplements, or even FDA-approved drugs, are not causal. Qualified health experts agree that an adverse event is not necessarily caused by any single agent, and, even so, many so-called ‘adverse event reports’ are not really adverse events, but merely reports to a poison control center and/or to FDA about a problem someone may have, including not being able to open a bottle, a child’s swallowing a cotton filler in a bottle, etc. There are other problems of fact in Dr. Pho’s opinion piece, too numerous to mention here. We respectfully submit that USA TODAY editors should fact-check opinion pieces before they are published to help ensure the accuracy of their contents. 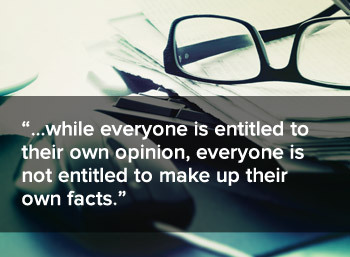 As has been said before, while everyone is entitled to their own opinion, everyone is not entitled to make up their own facts!